Firm but flexible control over privileged access sits at the root of many compliance measures. Effective management of privileged users enables fast, economical, and efficient compliance. Deficient privileged access management (PAM) can lead to the opposite: erroneous or even negligent non-compliance. 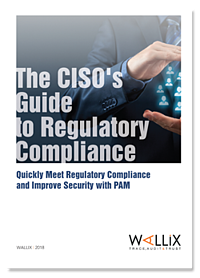 PAM lowers the time it takes to meet regulatory compliance requirements by streamlining security processes, meeting standards included in ISO 27001, GDPR, PCI-DSS, and a host of government-issued and industry regulatory requirements. This paper helps C-level IT security administrators understand the role of Privileged Access Management (PAM) in responding to a wide range of critical cybersecurity regulations. Discover how PAM can help your organization meet strict security requirements!